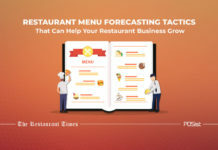 As a restaurant owner, you must always be on a lookout for the best tips and tricks that can help you manage your restaurant business better. Running a restaurant business in UAE can be a tedious task and requires you to always be on your toes. 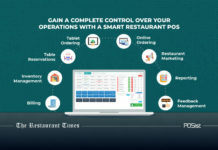 Considering the stiff competition in the Emirates, the rising food costs and rentals, smart restaurant management is needed for running a successful business. In this article, we talk about the best practices that will help you manage your restaurant business better. 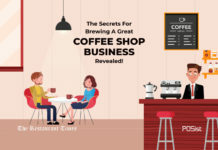 How To Manage Your Restaurant Business Like A Pro! Running a restaurant business is all about hard work and discipline. You cannot sit back and let your staff manage your restaurant; you need to be omnipresent. 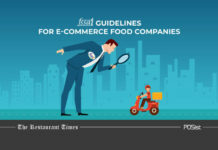 These points will undoubtedly guide you and help you run your restaurant seamlessly. As a restaurant owner, you need to have a clear idea of your goals and how you wish to achieve them. Setting goals would help you plan out a timeline for yourself and the staff. Running your restaurant business aimlessly would result in several blunders. The goals and objectives you set should coincide with your restaurant’s mission. Set goals that are measurable and achievable. For instance, if you’re just starting up, your primary goal can be to reach the breakeven quickly, increasing your customer trial base, etc. Then, define a clear business strategy that will help you achieve your goals. The restaurant business is ever-changing. You need to understand the importance of updating your goals when necessary, what might have worked out for you a few years ago might not work out today! An excellent way of managing your restaurant business with ease is by investing in the right technology. 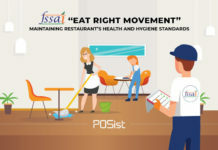 As a restaurant owner, you are expected to be present everywhere, supervising various departments but, it is physically challenging and nearly an impossible task. Using technology becomes very important if you wish to keep an eye on the daily operations. You can invest in a good POS system that would help make your work easier and quicker. A POS system would enable you to perform various day-to-day tasks like the ones mentioned below seamlessly. Billing: A good POS system can perform billing operations smoothly. Billing is one of the most critical activities in any restaurant; therefore you can entirely rely on a POS system to eliminate any errors. It can also help you analyze the customer’s preferred mode of payment and develop offers regarding the same. 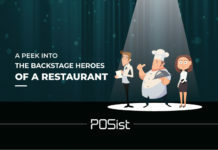 Pushing orders: POS systems let you push the orders directly to the kitchen which eliminates any delays and misunderstandings. Stock & inventory management: Manage your inventory levels efficiently using a POS. You can check how much raw material is required or how much is available at present. 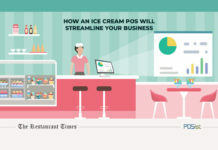 Get accurate reports: You can get real-time reports and analyze them on the go using a POS system which would eliminate the need of being present everywhere. 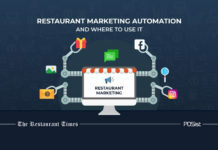 Marketing: Not just for managing the restaurant activities, a POS system also enables you to reach out to your customers and help market your restaurant to them by sending out emails, SMS, etc. You can also run loyalty programs using a POS system. All these features ensure quick service and eliminate human errors. Using a POS for managing the daily activities is sure to help run your restaurant with ease and accuracy. Having a strong team is fundamental to running a successful restaurant. It’s your staff who’s executing all the groundwork, and have direct interaction with your customers. Thus it is essential that you hire the right staff and maintain a healthy relationship with them. Inculcate the feeling of teamwork and trust amongst your staff, reward them when they perform well. Also, don’t hesitate from giving feedback to your employees. You can organize meetings regularly and explain the daily agenda and set expectations. This would provide more clarity to the staff, and they would perform better. 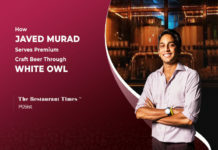 The attrition in the UAE restaurant industry is quite high. According to a survey conducted by the Hotelier Middle East, 66% of the millennial employees will leave their jobs in the next three years. Therefore, it is essential to keep your restaurant staff happy and motivated. High labor turnover rate is also a crucial factor that leads to rising labor costs. 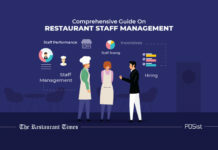 Skilled and well-trained staff is also likely to perform their tasks with efficiency, which will, in turn, help you manage your restaurant business with ease. Regularly conducting surveys and seeking feedback from the customers help you improve your restaurant business. Feedbacks enable you to analyze what your customers are expecting from you, and also identify your gaps. You can hand out printed feedback forms but, we will suggest you use a feedback app to collect feedbacks. Using a feedback app makes the process of collecting and reading through the feedbacks easier and quicker. Secondly, your customers are more likely to leave feedback on an app rather than filling out a long form. Seeking feedback makes the customers feel valued and increases loyalty in the long-term. Conducting surveys and asking for reviews help you analyze if more input is required from your end in preparing the food, ambiance, service, etc. better. You cannot expect your employees to perform their best if the tools they are using are in bad condition. The right equipment ensures smooth sailing of the restaurant and prevents any lags. The freshness of the food you serve and the service you give are heavily dependent on the equipment you use. Installing the equipment is not enough, you should also pay attention to the maintenance to prevent any wear and tear. The equipment are used on a daily basis, therefore the chances of them getting spoiled increases and installing new equipment now and then is not feasible. You need to install the equipment according to the space available; therefore proper planning is required. Right equipment boosts up the sales and increases the efficiency of the employees which ultimately helps in running your restaurant business with ease. It is crucial to identify the customers you wish to serve. This helps you rightly plan your business strategy. Also, you can analyze the footfall and identify the frequent customers. Take the help of your CRM for understanding your customer base. For instance, does your customer demography mostly consist of a younger crowd or do your customers prefer starters over the main course; you can find the answers to such questions from your POS integrated CRM, which in turn, help you devise your marketing and business strategies better. Knowing your customer base also helps you in marketing to the right people. This helps a lot when using online mediums like social media marketing as they give you the freedom to target the desired audiences. It is imperative to stay updated about the new restaurant industry trends and of your competitors. Things change fast, in the restaurant business, you need to be proactive and stay ahead of the game. You can subscribe to various restaurant industry blogs and magazines and do your own market research. 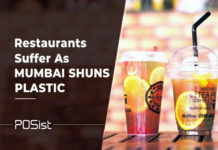 As a restaurant owner, you cannot miss out on any new hospitality trends as you need to constantly bring in innovations to attract and retain customers. You should also keep a check on your competitors, see what they are doing differently. Do not copy your competitors instead learn from their mistakes and look at what can be done differently. As a restaurant owner, you are managing more than just food; you have to keep a check on all the departments and also ensure customer satisfaction for a thriving restaurant business. People these days do not hesitate in spending more for a wholesome experience, therefore providing good food isn’t enough. 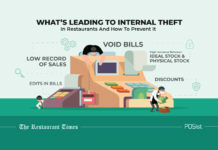 Running a restaurant business can be an intimidating task, but if appropriately supervised, it can be done with such ease. 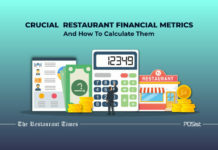 Hopefully, these points would help you manage your restaurant business with more mastery! This is a very well explained article, I would like to ask you, how can I improve restaurants customer service for their satisfaction?